Baby Birds Toilet Trained | Indigenize! 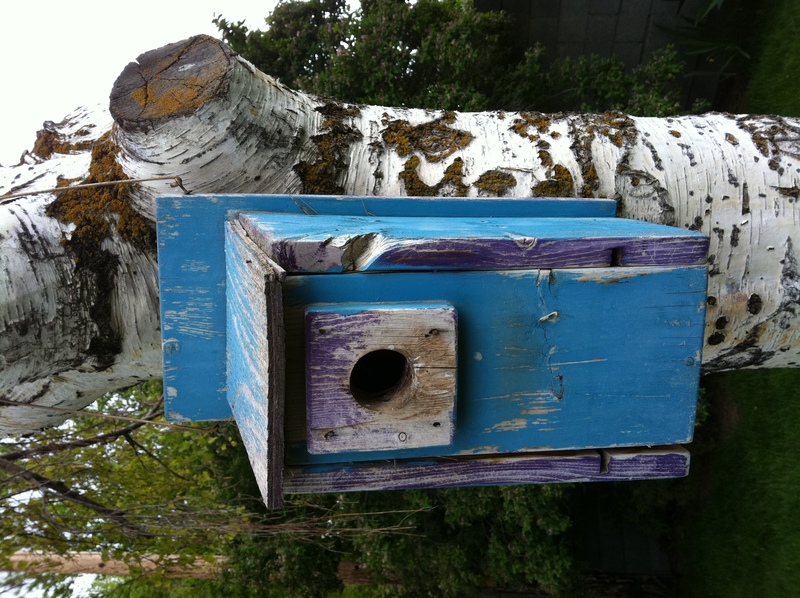 The birch tree outside my dad’s house contains a homemade birdhouse that regularly hosts three families, in sequence, per year. Right now, a sparrow family is in residence. You might wonder, how do the parents keep the nest clean? They do go in and pick the poop out with their beaks, then throw it overboard. This I knew. But watching them now, I witnessed something that really surprised me. Instead of a little head with a gigantic mouth, I saw one of them back up to the door. His or her tail poked out of the hole, then cleanly dropped a poop outside. Then the head reappeared, ready to accept a new tasty bug. Isn’t that something? I’d thought the little piles of bird poop at the base of the tree were from the parents, but turns out that’s not solely true. Good job, mom & dad! Yet another example of how “bird brains” are far more sophisticated than we’ve generally been thinking. And how, as many parents think, toilet training is indeed for the birds. If you don’t believe me, here’s a YouTube video where somebody else caught a baby bird deliberately pooping outside the nest (right at the beginning – around 4 seconds in). The woman filming that seems as surprised as I.